While it’s highly entertaining to watch big-bucks dream cars sell for millions of dollars, some of the more prestigious collector car auctions can leave the average collector feeling left out of the action. That’s why Mecum’s collector car auctions are always so entertaining. Besides the down-home, accessible nature of Mecum’s events, there is always a good selection of cars that even enthusiasts of more modest means can afford. We attended the 2017 Mecum Los Angeles auction at the Pomona Fairplex – a new venue for Mecum after relocating from its traditional Anaheim, California site. With several buildings full of cars to bid on, even a little rain didn’t dampen our spirits. Here are seven cool cars from the Mecum Los Angeles sale that didn’t require a hefty trust fund to afford. Now, where’d our bidder’s paddle wander off to? 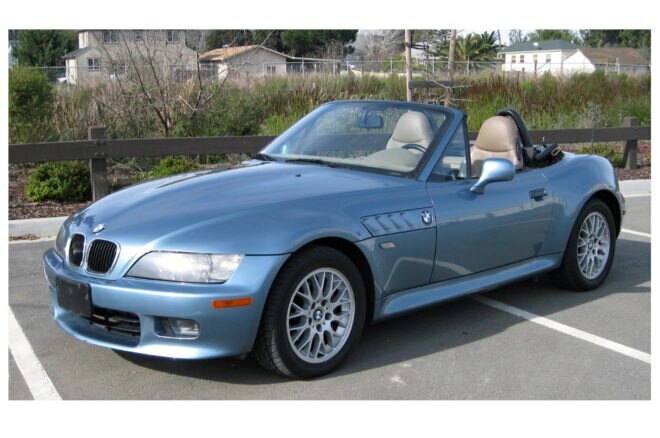 BMW Z3s have been “just another used car” for over a decade now, but with the cheapest examples costing just a few thousand dollars, it’s unlikely they’ll ever get more affordable than they are currently. This 2.5-liter car presented well, was ordered with a manual transmission and though it’s from the second-to-last year of production, it wears the now-iconic James Bond color scheme of light blue metallic over tan leather. With just 58,000 miles on the clock, the $6,000 paid seems like a fair price for a car that should deliver many years of fun top-down driving. 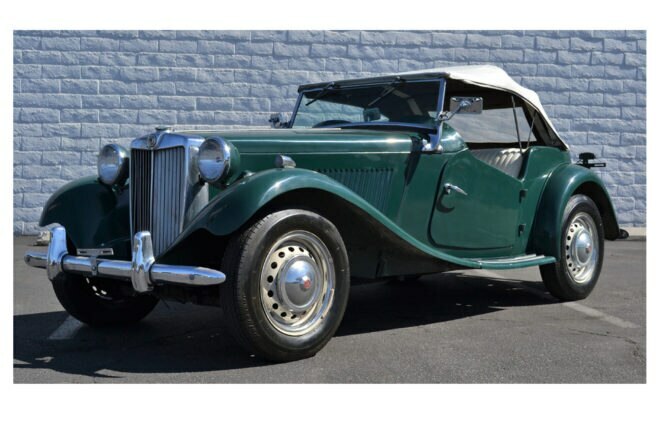 In the late 1940s and early 1950s, if you wanted an inexpensive, honest-to-goodness sports car in the U.S., you were likely in the market for an MG. With body-on-frame construction and a fairly agricultural 1.3-liter overhead valve engine, the MG was far from modern or refined in post-war America, but it gave thousands of people their first taste of what a sports car should feel like and served as a gateway drug to both racing and more expensive, more powerful sports cars. Need further convincing? Carroll Shelby drove this car’s predecessor, a 1949 MG TC, in his very first road race. Can’t afford a classic Porsche? Think again. 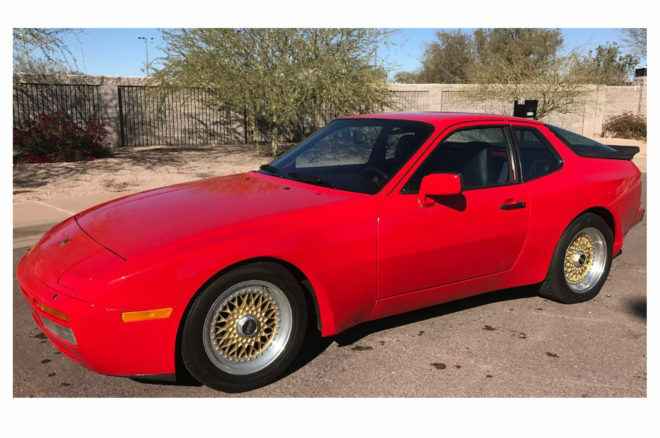 This 1986 944 sold for $11,000 and is an excellent entry-level P-car that you won’t be afraid to actually use. When they were new, 944s were praised by AUTOMOBILE and other magazines for handling that was superior to that of the 911 (thanks to a rear-mounted transaxle for near 50/50 weight distribution) and immense practicality with two small rear seats and a hatchback-style rear cargo area. This ’85.5 car has the post-refresh style “oval dash” interior – a plus – and has recently been treated to a respray in red, a 944 Turbo-style nose, and period-correct BBS basketweave wheels. Under 90k miles on the clock means lots of life left, just keep up on those timing belt changes. 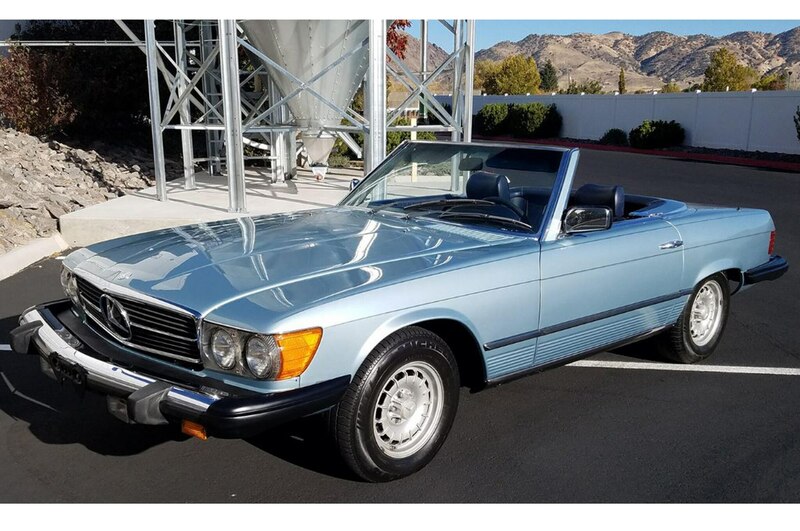 If you were a lawyer, doctor, movie producer, or just a guy who made a lot of money and felt self-important in the 1980s, you bought a Mercedes SL. The R107-series SL enjoyed a production run that lasted from 1972 until 1989. That fact combined with fairly robust build quality means that there are plenty to choose from on the market at any given time. Our advice? Skip the underpowered 380SL and go straight for the 450 or 560 models. This car had low mileage (just 60,000 showing on the odometer), a lovely color scheme, and a nearly new looking canvas top. At just $9,750, this car would make an excellent weekend cruiser with the capability of daily use as well. Mercedes still stocks virtually all the mechanical parts to keep a R107 on the road, a great thing for long-term ownership. The original 1964-1966 models are the ones that most people think of when you way “Ford Mustang,” and for good reason – Ford sold a ton of them. 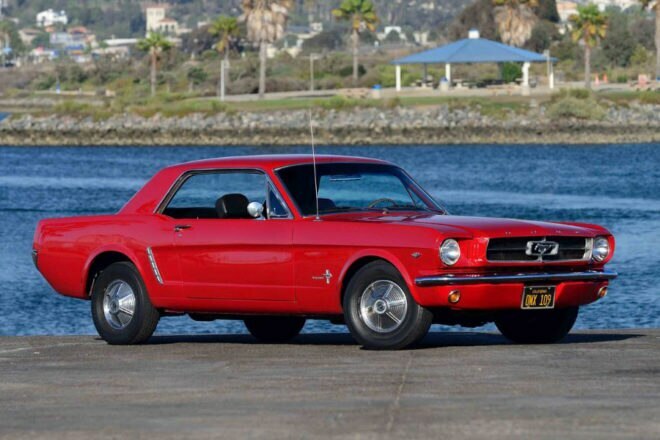 That said, for decades the Mustang was just a cheap, cool classic and many were crashed, heavily modified, or just plain worn out through the years. That means today it’s getting tougher and tougher to find as good and as clean an example as this car seems to be. A 1965 model, it still has its A-code 289 V-8 that was rated at 200 hp when new. Paired to a 3-speed automatic, this is an accessible car that appeals to a wide variety of enthusiasts. A little scruffy in presentation and not quite all-original in its details, the new owner can enjoy the car as it is while fixing up the details as time permits. 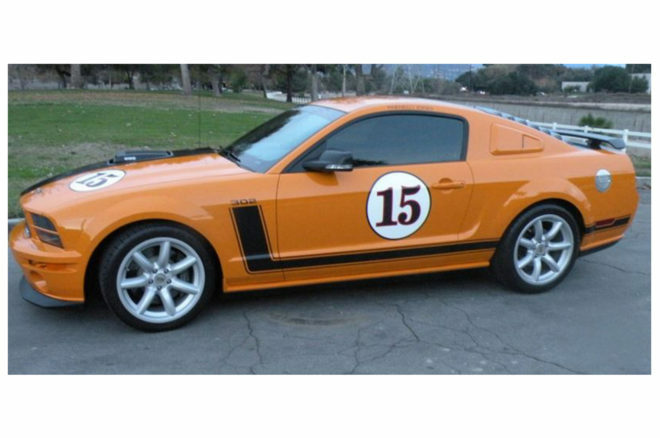 Ten years ago, Steve Saleen partnered up with Parnelli Jones to build a new Mustang that recalled Parnelli’s Trans Am racer from 1970. Just 500 were built and included a 302-ci engine along with all the visual touches that you’d expect from the mash-up. While early fifth-generation Mustangs aren’t difficult to come by – they’re littering used car lots from coast to coast – this Saleen/Jones is an instant classic and will draw a crowd at most local cars and coffee events. Want a classic that hauls – literally? 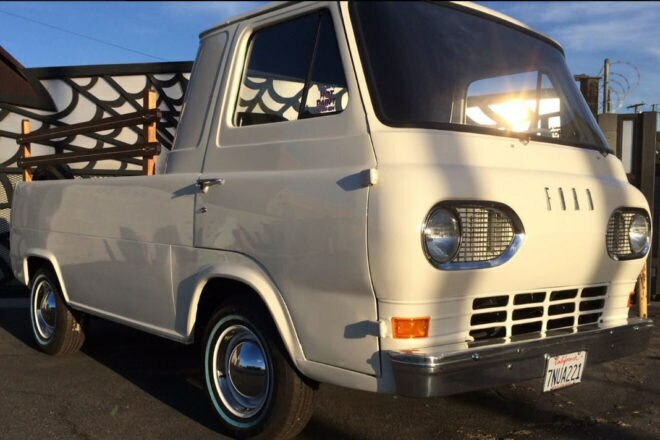 How about this Ford Econoline Pickup? With receipts for lots of recent mechanical and cosmetic work, including a new paint job in Ford factory PPG Wimbledon White and a new interior, this pickup, based on Ford’s then-new series of Econoline vans, is both unique and likely a lot of fun to drive. Sure a three-speed auto and six-cylinder engine aren’t the most exciting specs, but we wouldn’t want to be going too quickly behind the wheel of a ‘60s pickup anyway.